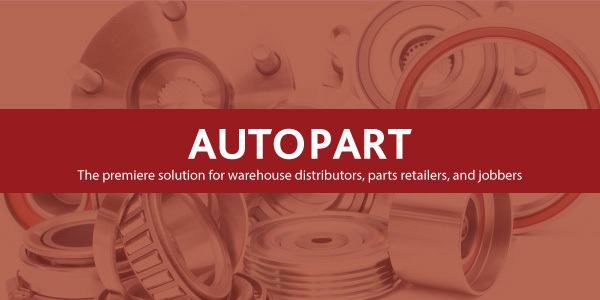 MAM Softwarehas announced what it calls a “sizeable increase” in its customer base, as 138 automotive parts stores went live on Autopart over the past 12 months. The increase in distributor locations demonstrates the industry’s growing recognition of the financial and operational benefits that Autopartdelivers. The company says the addition of these new locations can be attributed to MAM Software’scontinued commitment to investing in research and development, resulting in many new features being added to Autopartas well as existing functionality being upgraded and improved. Autocat Integration – Autocat electronic catalog can be accessed from Point-of-Sale or from a company’s e-commerce site. It is a comprehensive auto parts catalog providing access to the latest updates from industry suppliers. It provides fast, accurate catalog look-ups for a competitive monthly price. Includes Interchange and VIN Decoder. The integration allows it to be used alongside other industry catalogs or as the primary eCatalog. Inventory Management – Increased flexibility and capability to managing the inventory processes. Increase or decrease a suggested purchase order amount by simply changing the number of days supply and Autopart will quickly recalculate your order. Bump orders up or down quickly and easily. Warehouse Management – Additional picking options and process improvements have been added to assist the warehouse staff. Combined with performance enhancements, it is designed to maximize warehouse efficiency and control. Business-to-Consumer eCommerce – Update your B2C website or online marketplace more frequently with changes in quantity-on-hand. Allows you to do automatic incremental updates all day in addition to the full file updates each night.